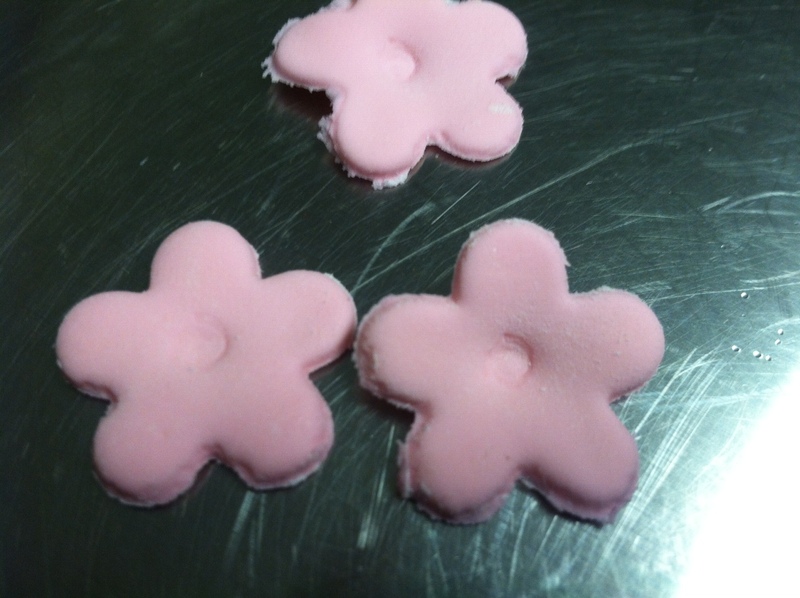 I’m not a huge user of fondant, but from time to time I feel like making something with fondant. The high prices of ready-to-use fondant and the long list of ingredients, are just 2 reasons for me not being a real fan. For the past couple of days though, I’ve been in the mood to explore more fondant and read a lot of recipes. 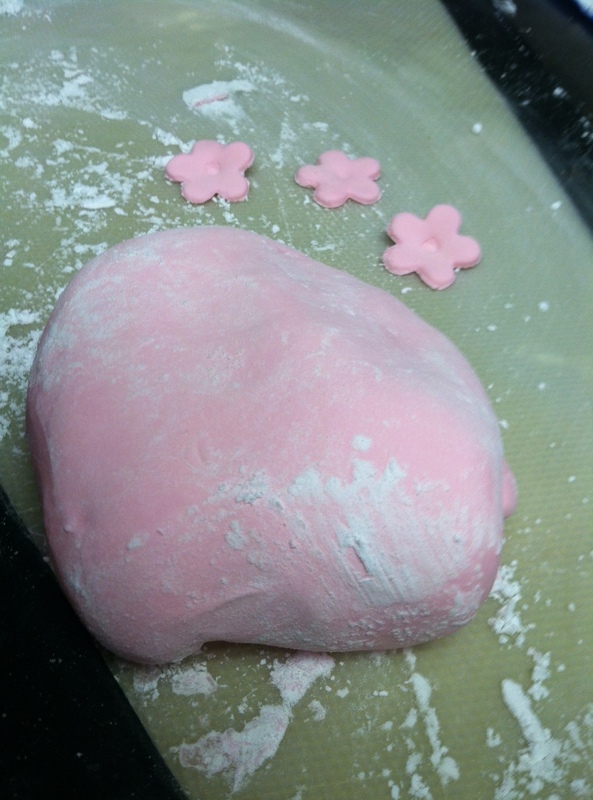 Some for regular sugary fondant and some for marshmallow based fondant. The last one sounded fun to make, and I decided to try. I adjusted the recipe to half the amount of everything called for, as I did not need a big amount of fondant. Combine the marshmallows and water in a bowl and placed in the microwave for 1 minute. Make sure the marshmallows are puffy and melting soft. With a rubber spatula stir the marshmallows until you get a very smooth (sticky) cream consistency. Add the color you like, and mix well. Here is where the fun begins. Add 1/4 cup powdered sugar and mix well. Continue adding 1/4 cups of powdered sugar until you get a smooth dough like consistency or as my kids defined it- feeling like a huge bubble gum. It is fun to mix-in the powdered sugar. Best to give yourself enough room to knead in the powdered sugar. Take your time and check that it is nice to work with and not too sticky. 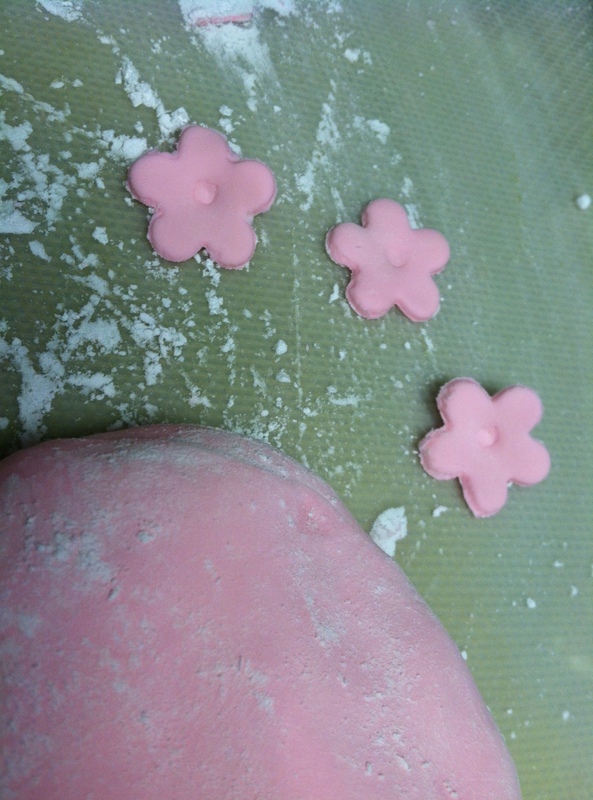 To shape the dough, dust some more sugar powder on your work surface. If you don’t need it right away or have some left, wrap well in plastic and place in a tight zip-lock bag. Feel free to share and let me hear from you. It is easy and feels so nice to use and shape! Thank you. I look forward to trying this recipe out. I work a lot with fondant making characters. I’ll let you know how this recipe holds up. Take care. I think you will enjoy it. I checked it after 3 and 4 days of being wrapped and it was still great to work with. It also tastes good. please tell me what you think….. and send pictures…. :) Good Luck!